At my recent Travel Photography Workshop at 171 in March, my students and I discussed the ways we can apply specific composition rules to make our travel photography more interesting. I showed them my basic gear and bags and told them my experiences in lugging my camera through 15 countries in the past ten years. My biggest tip: find a favorite “walk around” lens that can get you both wide shots and nice details, and keep your camera out and at the ready at all times. I have learned that I am often lazy and whiny and I tire out easily if I carry too much gear with me around a big city or on a hike up a mountain. I’ve also found I need a bag that has side-access (over the shoulder) because I am not very likely to take the time to stop and take a backpack off to change out a lens. One thing I love about our workshops at 171 Cedar Arts Center is that the back half is always a hands-on photo walk to the Gaffer District. With Travel Photography, I usually reach out to a local museum to ask for permission to sneak in really quick and pretend to be tourists in our hometown. This month’s generous host was The Rockwell Museum. 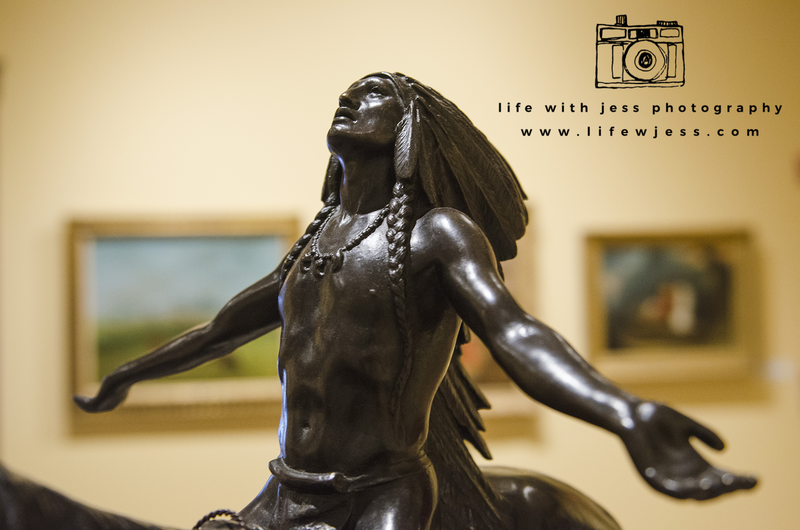 We were all particularly enamored by the Native American sculptures currently in the biggest room of the main exhibit. 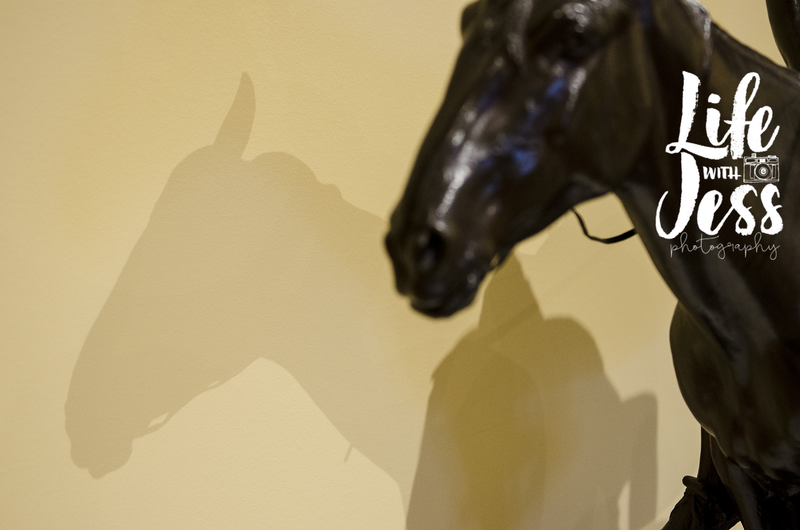 We talked about how when you’re traveling and visiting a museum, the art can inspire your photography. 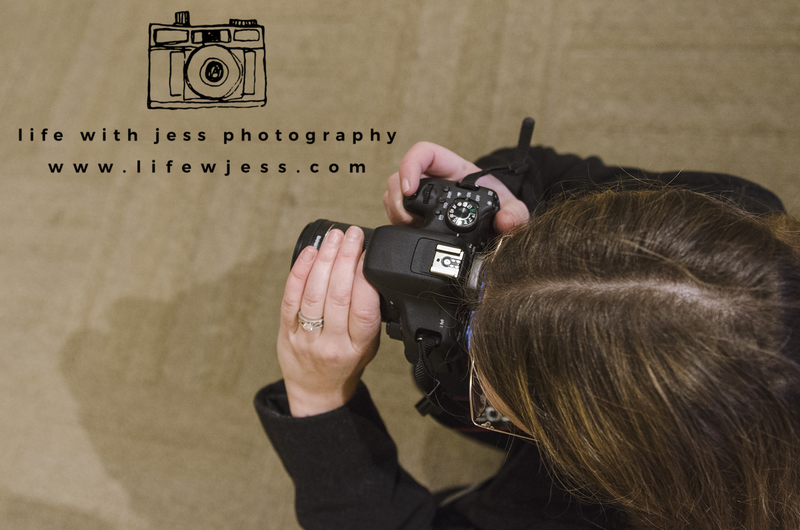 Flash photography is rarely allowed in museums, but if you have mastered the manual mode settings of your camera, you don’t need flash to get some really nice shots in any lighting condition! 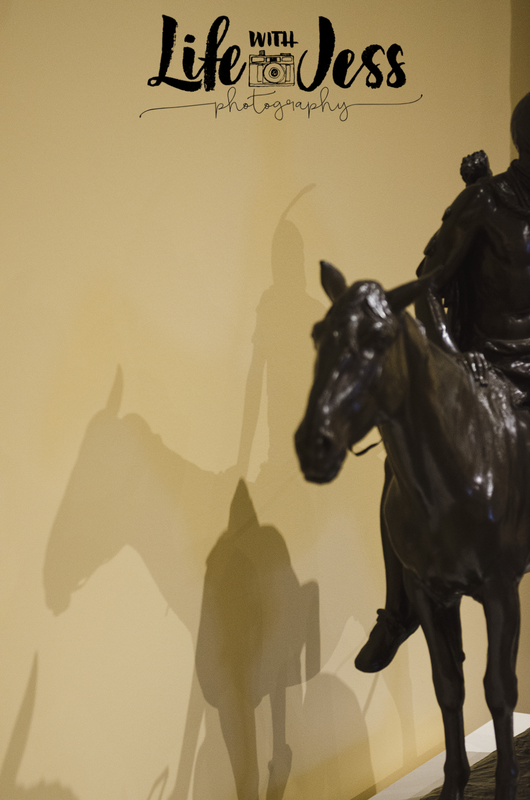 We were all drawn to the interesting play of light and shadow on the wall behind this particular sculpture. These are the things I like to point out to my students that help them think outside the box. You want to be on the lookout for interesting shots that the classic tourist might miss! 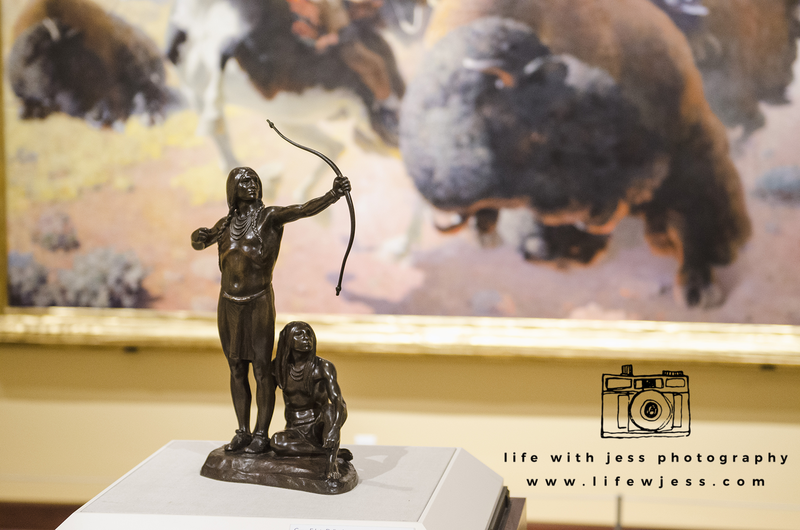 Another photo we discussed was this one… using the buffalo hunt in the painting behind the sculpture to create an interesting backdrop for the subject. I pointed out that you need to watch closely for times you can use interesting background elements to enhance your image. But also that if you aren’t careful of how you compose your shot can weaken the story you’re trying to tell. In this particular example, the top image shows that the eye level shot meant there was a dark background behind the sculpture’s bow. By raising my camera higher, I was able to clean up the background directly behind the subject and use the darker background areas as an internal framing element for the bow, to really make it pop. Thanks again to The Rockwell Museum for letting me bring my students in during our class! If you’re interested in more classes and workshops by yours truly you can always check out 171’s website for the most up-to-date list of upcoming offerings. Like this post? Pin it to your photography tips board and tell me in the comments what trips you have planned for 2018!